SAVE £62 ON YOUR NEXT RACEDAY. Create your FREE Rewards4Racing account to start saving for your next raceday experience. Search over 4,000 partners and collect points when shopping or betting via our website. Plus, collect points on every raceday ticket you buy. Spend your points on tickets, hospitality, racecards or gift cards with over 30 racecourses and make great savings on your next raceday. 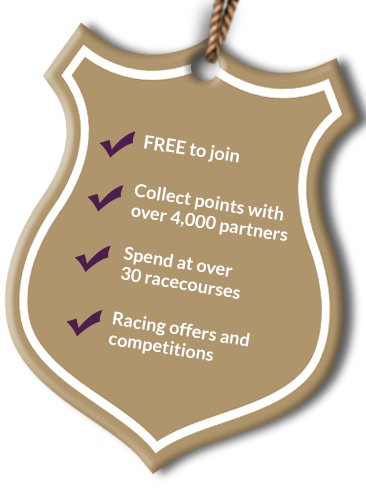 As a Rewards4Racing member you'll collect points on all sports bets with our betting partners. If you don't have an account with any of our partners, sign up and deposit today to collect an extra £20 worth of points. 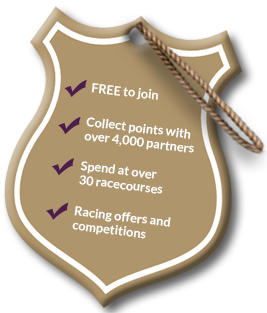 You can spend your Rewards4Racing points on fantastic racing rewards with over 30 racecourses. Points can be used in full or part-payment when purchasing raceday tickets, hospitality packages and racecard vouchers. You can even purchase Racing TV services or a gift card to treat your friends and family!